Bela Lugosi turns Poe's story into a horror show victimizing virginal young women in 1932 film. The most appropriate literary form for movie adaptation is probably the novella. The longer novel is fitted into the under-two-hours movie format only by dropping several plotlines and compressing the rest. The short story on the other hand usually needs expanding beyond its single focus to fill out the visual form's length. This latter difficulty has not swayed movie producers from attempting adaptations of one of the most seminal detective stories of all time, Edgar Allan Poe's The Murders in the Rue Morgue. The story is essentially a locked-room mystery (the first actually) with some rationalistic armchair detection by a colourless intellectual—and with no colourful human villain. Attempts at filming the story face the tasks of opening it up and adding human interest, which they've done with both admirable and bizarre results. When Universal's The Murders in the Rue Morgue came out in 1932, it was the third horror film—after Dracula and Frankenstein—of the sound era. It was also designed as a vehicle for Dracula star Bela Lugosi. Accordingly the story was recreated with the emphasis taken off detection and placed on emerging horror motifs, with a mad scientist character written into it for Lugosi. Lugosi had lost the role of the experimenter in Frankenstein, so this may have been to make up for it. Doctor Mirakle displays an ape in a carnival sideshow as a cover for his work, which involves some such nonsense as kidnapping virginal young women to inject them with the animal's blood to prove his theory that apes and humans were related. (The film is set in Paris in 1845, about a decade before Darwin's evolutionary theories were published.) Alas, the women keep dying on him. "Will my search never end?" he cries in his self-absorbed way after another failure. 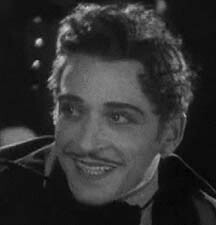 He thinks he's found a successful subject however when he meets Camille (rising star Sidney Fox), the girlfriend of medical student Pierre Dupin (Leon Ames, credited as Leon Waycoff). Far from being an armchair detective, this dashing young Dupin has to fight to save his girl from the villain's clutches—and from the beast. It's a ludicrous plot having little to do with Poe's story, but Lugosi makes the most of it. This is often considered his best screen performance, as he commands both the camera and microphone with his histrionics. He's both darkly charming in his Old-World manner and scary as hell in his willingness to sacrifice anything or anyone for his ideas. Along the way, we get all the other accoutrements of 1930 horror flicks: the shadowy and misty streets, the evil laboratory, the woman cringing in bed as a monster approaches.... There's even a scene that's a precursor to King Kong when the ape carries a screaming female to a rooftop. The ape, by the way, is represented both by an apparently real animal through stock footage and by an actor in a bad ape costume. It's easy to tell which is which as they don't match very well. Ames has a thankless role as Dupin in the shadows of Lugosi, Fox and the animal. The only detective work in this Murders on the Rue Morgue occurs when Dupin tracks down the bodies of Mirakle's previous victims and performs blood tests on them. But it's a long way from the ratiocinative process of Poe's amateur detective. So, as an interpretation of Edgar Allan Poe's story or of even Poe's ideas, the adaptation of 1932 is pretty much a bust, though it is a worthy horror flick for its time. Oddly, although they are highly regarded today, the film and Lugosi's performance in it were not hits at the time. Future adaptations would find different ways to pad the story.